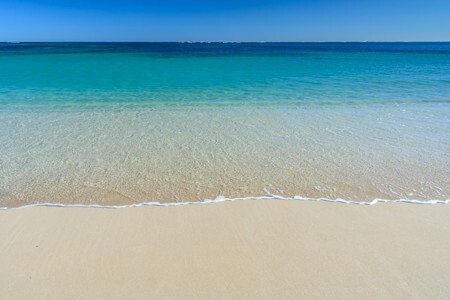 Exmouth is located in Western Australia, north of the Capricorn Tropic, along the Indian Ocean shores. 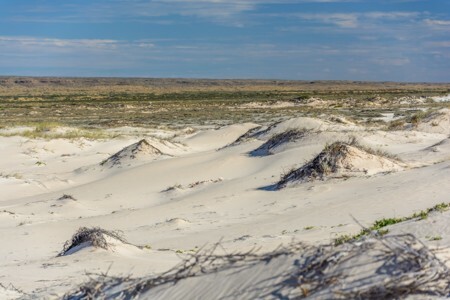 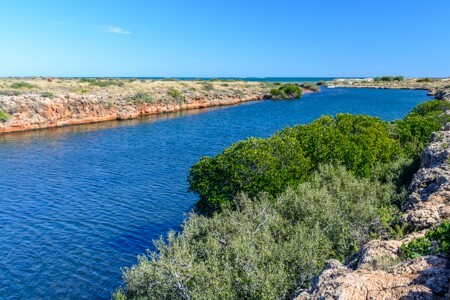 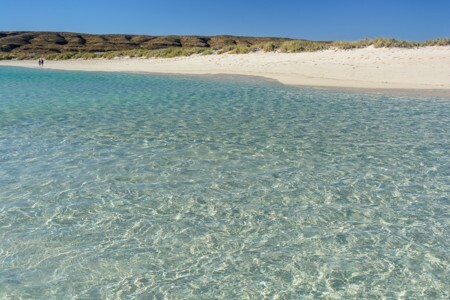 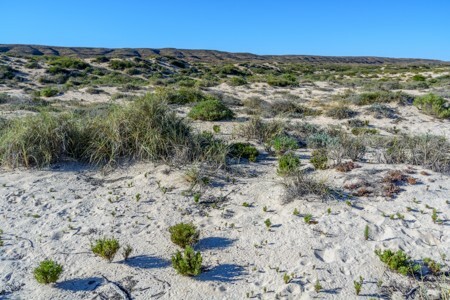 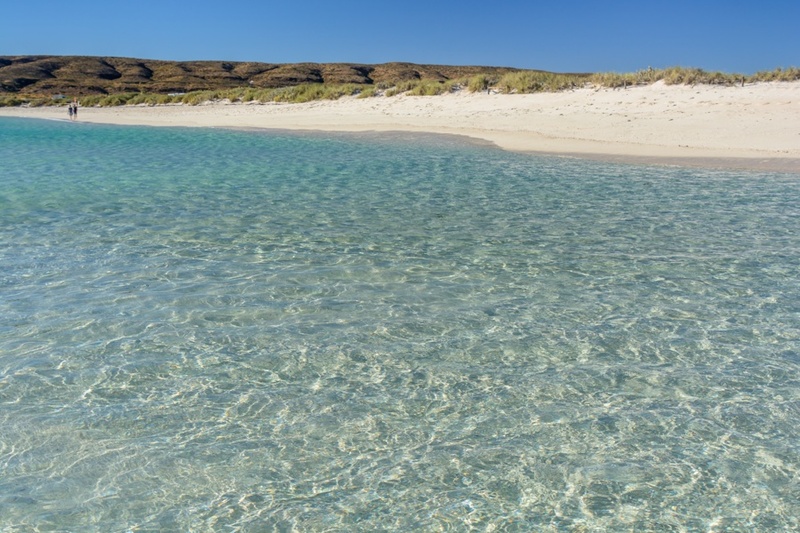 For landscape beauty and great biodiversity, much of the peninsula is included into the Cape Range National Park. 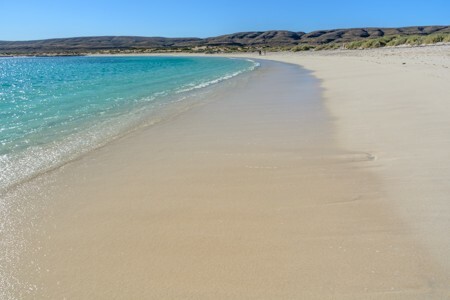 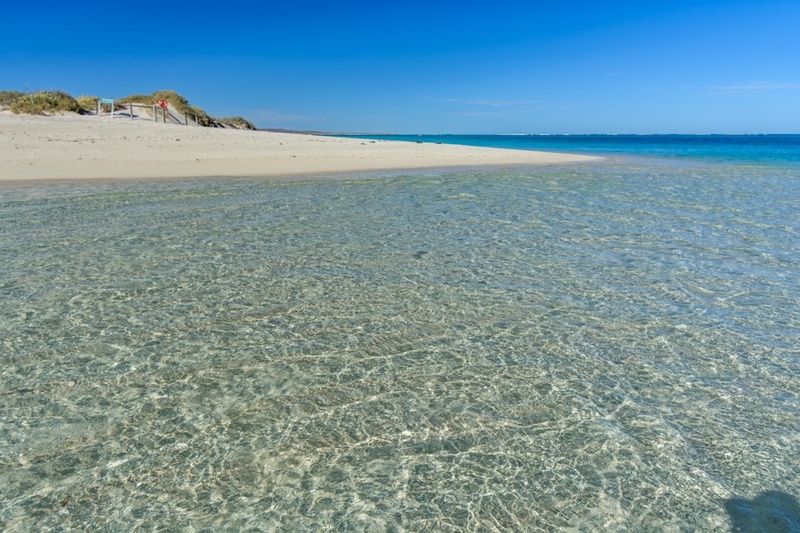 Here you can see numerous kangaroos in their natural habitat, tropical birds and multicolored fish, among fantastic beaches almost completely deserted. The reef of Ningaloo gives also the opportunity to swim with whale sharks. 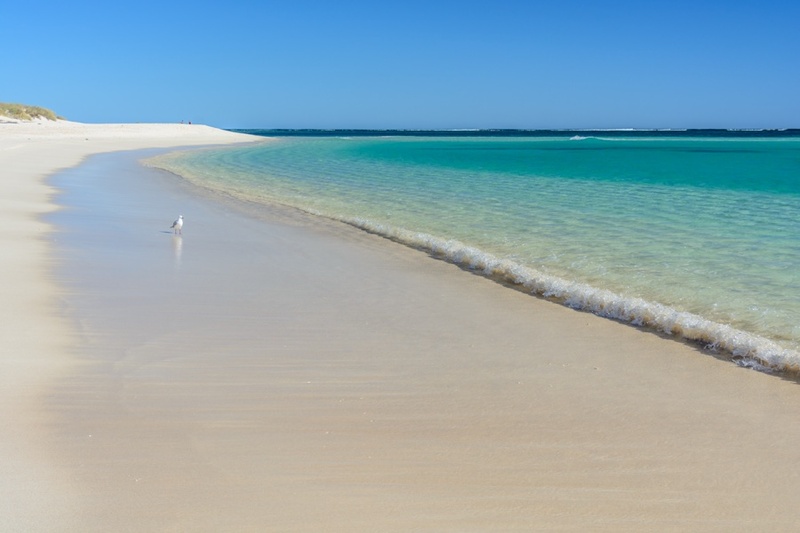 How to get to Exmouth? 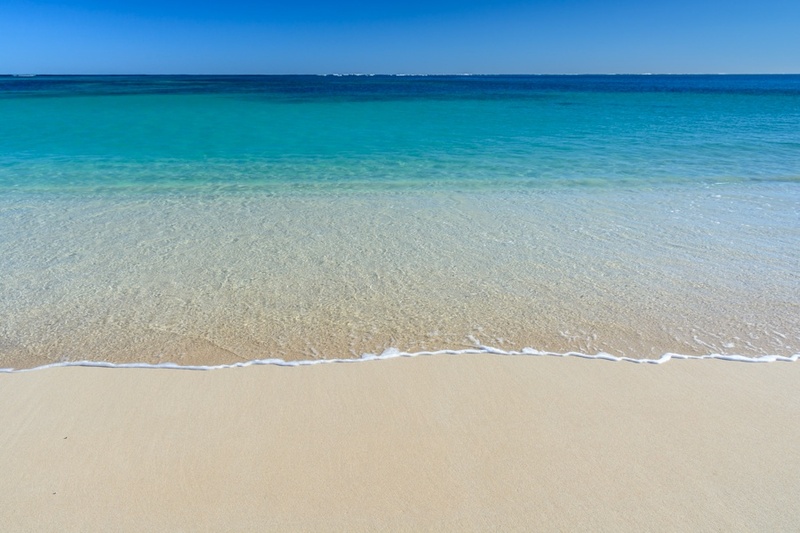 Exmouth is located in Western Australia, nearly 1300 kilometers north of Perth, along the Indian Ocean shores. 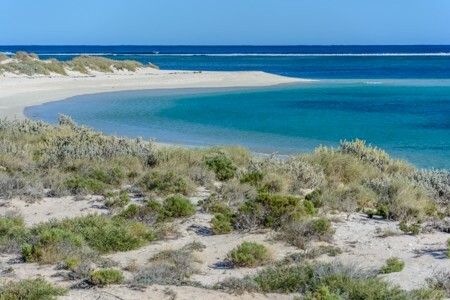 The town was founded in the 1960s to provide support to a US military base, but it is currently an interesting tourist destination for its beautiful deserted beaches and for the proximity to Ningaloo coral reef where, during the southern winter, it is possible to snorkel with whale sharks. 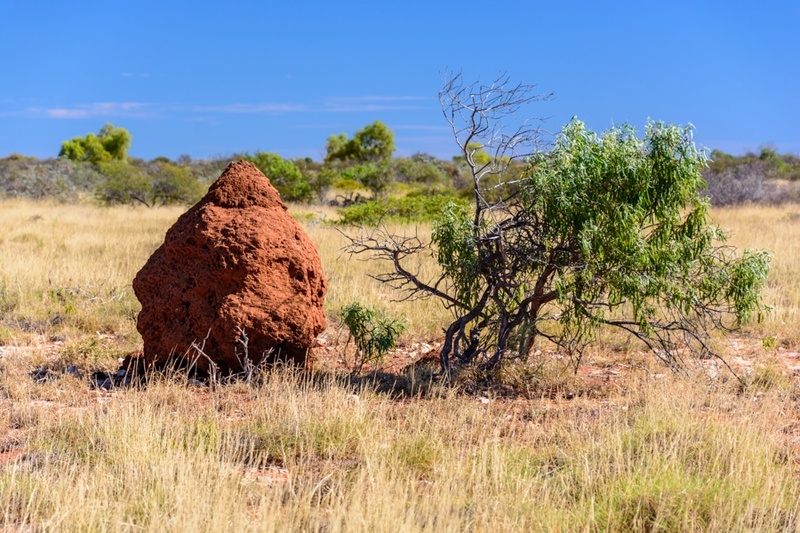 The place is either a very long ride from Perth by own car or by bus, or a two hours daily flight from Perth to Learmonth. 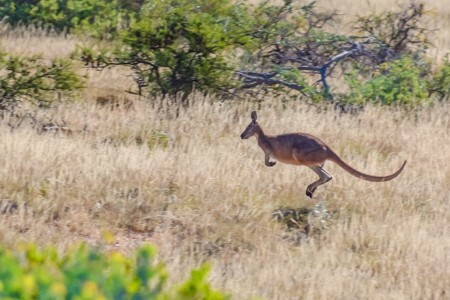 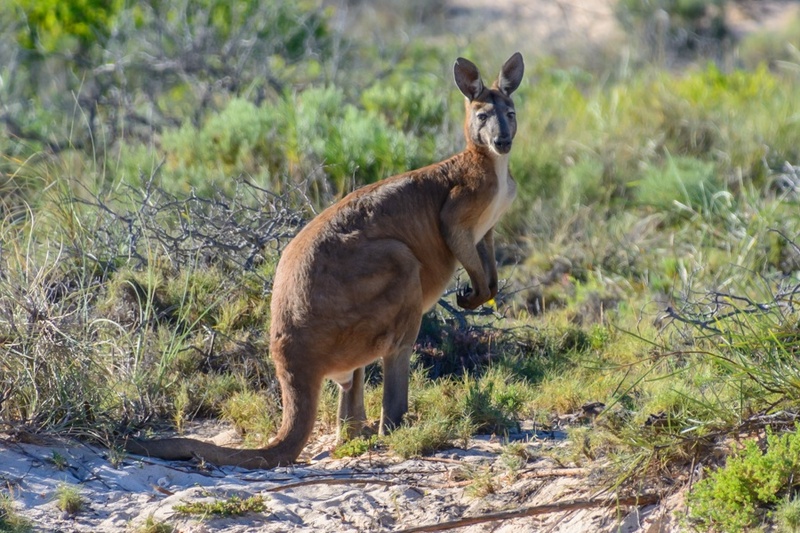 In Cape Range National Park is not uncommon to see red kangaroos in their natural habitat. 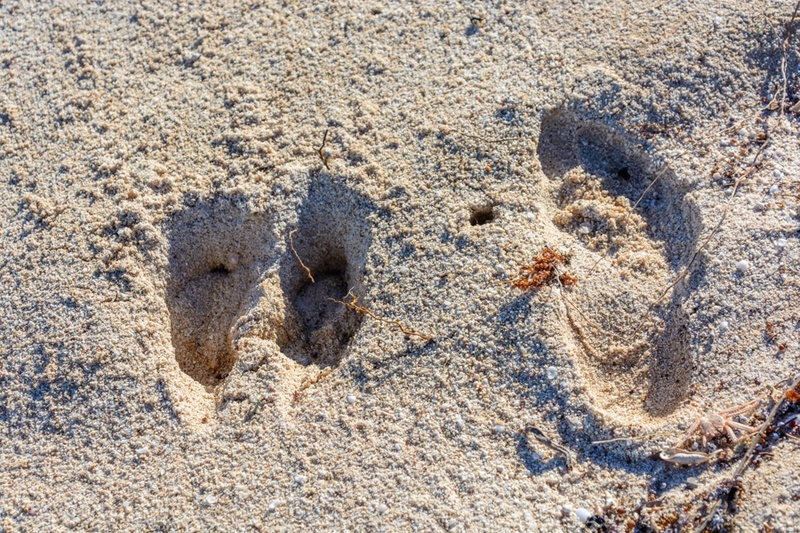 These massive animals leave in the sand of the beaches impressive footprints big almost like humans one. 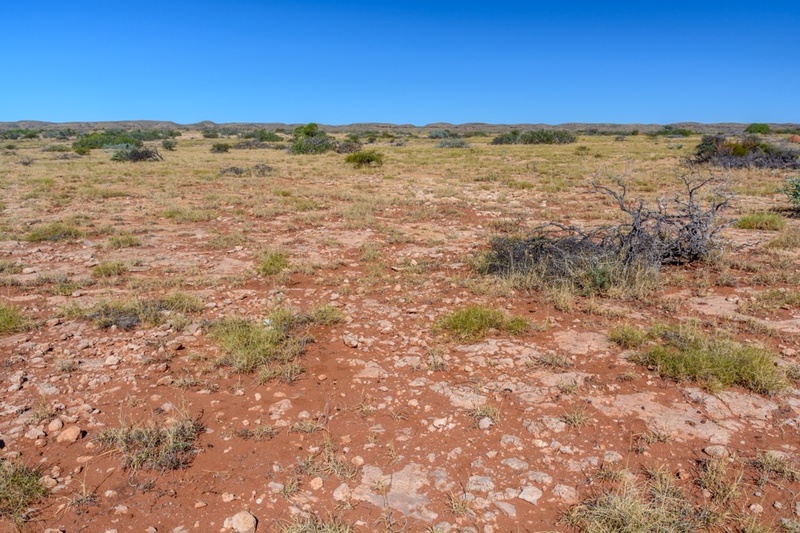 The Peninsula of Exmouth has a landscape that looks like a a semi-desert flat land, where the color of the soil varies between white and red. 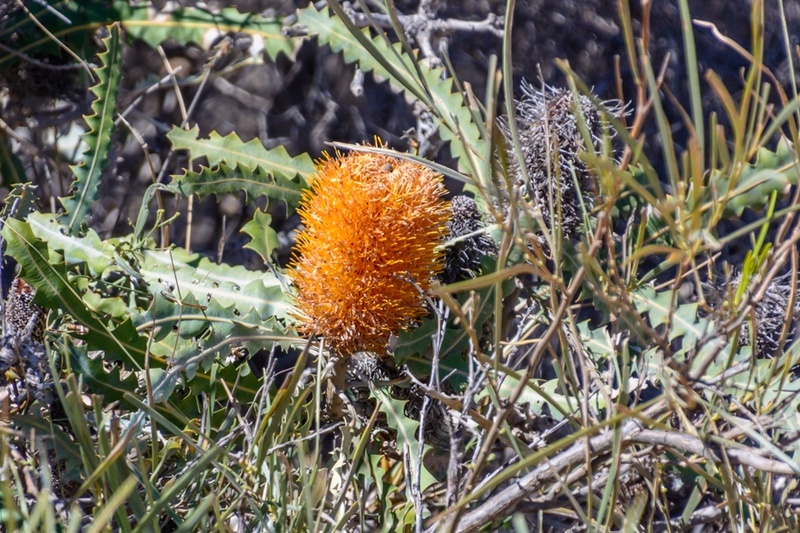 The Banksia is a shrub endemic to Australia, that can be found also in Exmouth peninsula. 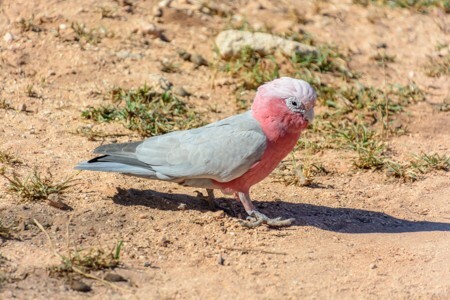 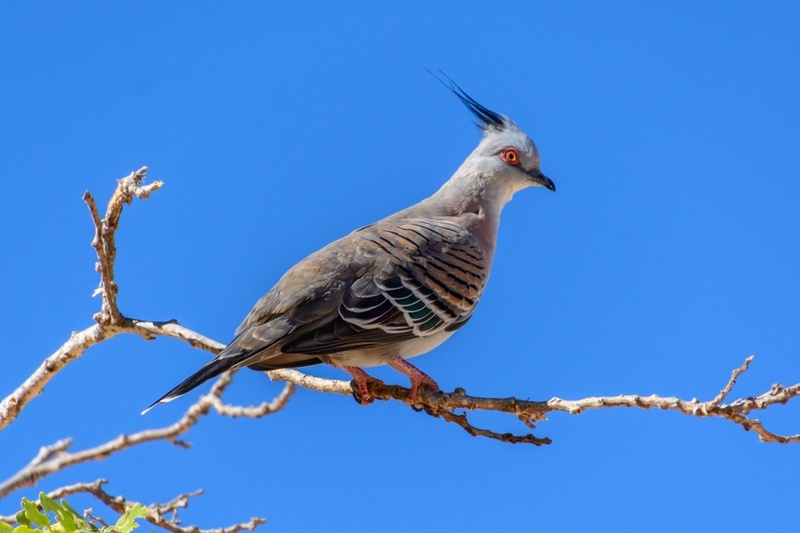 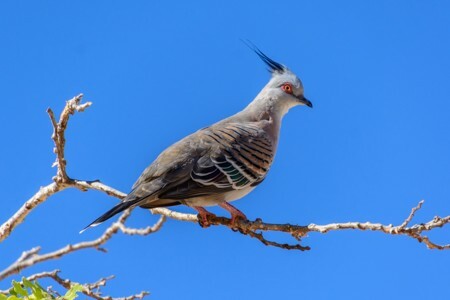 Exmouth hosts an interesting population of tropical birds and parrots of unusual coloration. 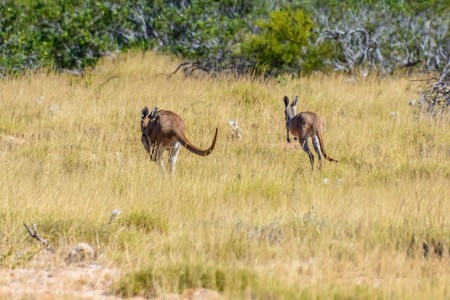 Exploring the inner parts of Exmouth, it's not uncommon to see numerous kangaroos jumping among the vegetation of the Savannah. 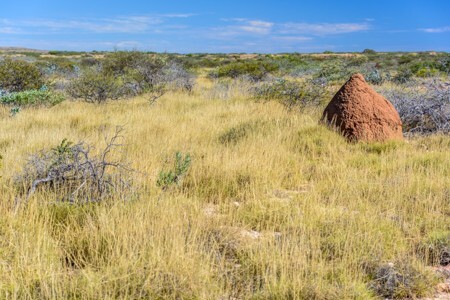 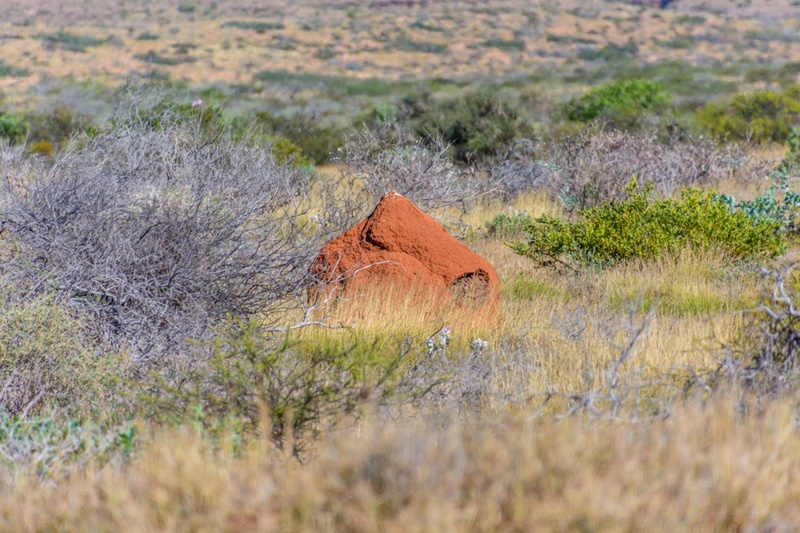 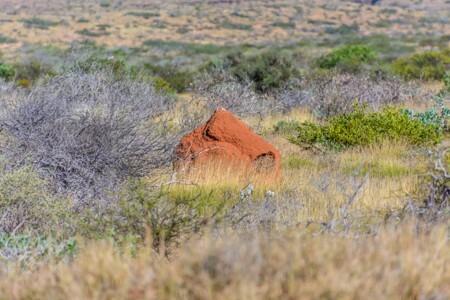 Like for most of Western Australia, termite mounds are a rather constant presence in the landscape and some of them reach quite considerable sizes. 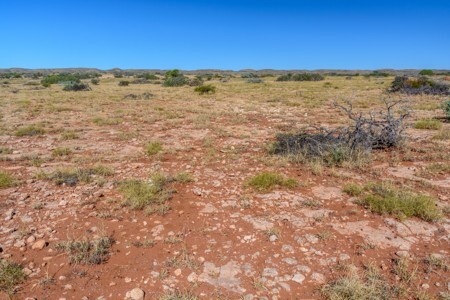 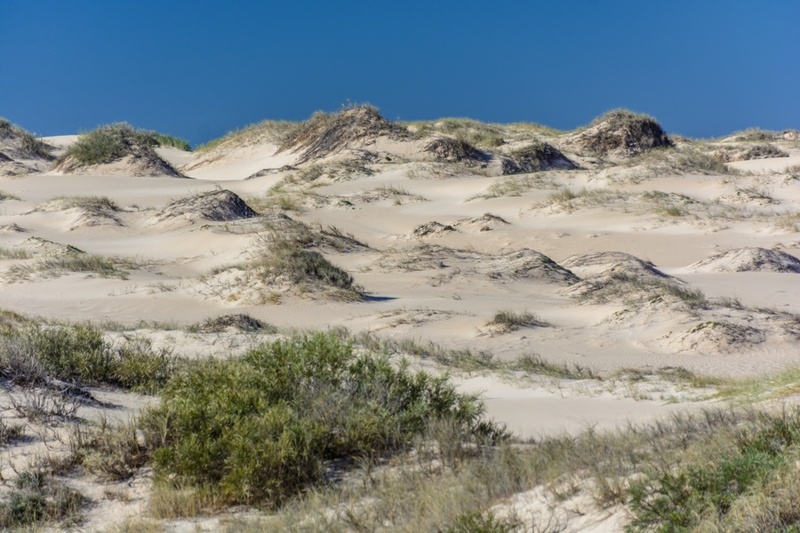 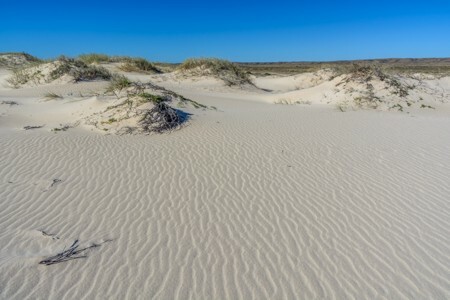 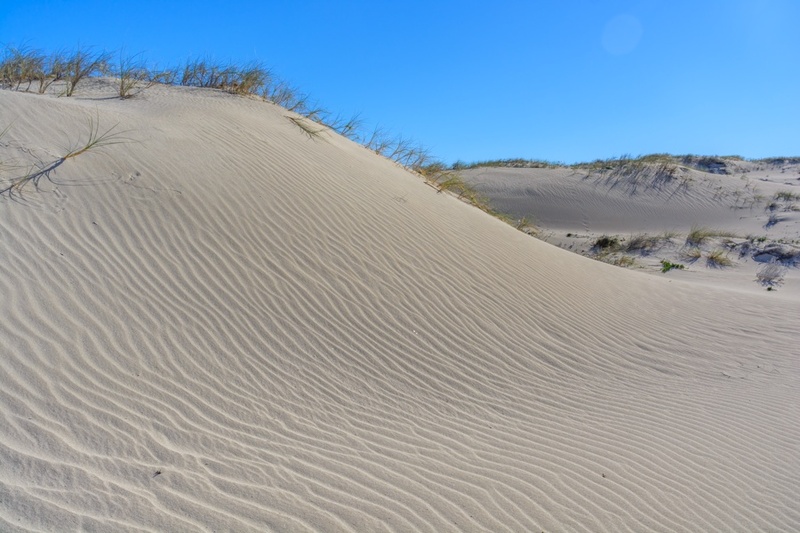 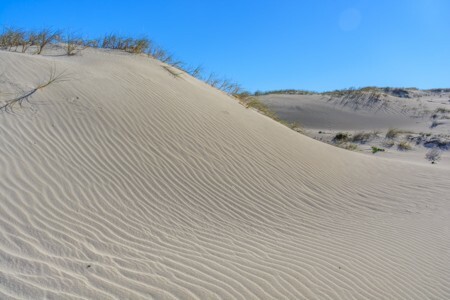 Some areas of Exmouth, especially those closest to the sea, have a desert landscape with high sand dunes shaped by the wind and by the rare rains. 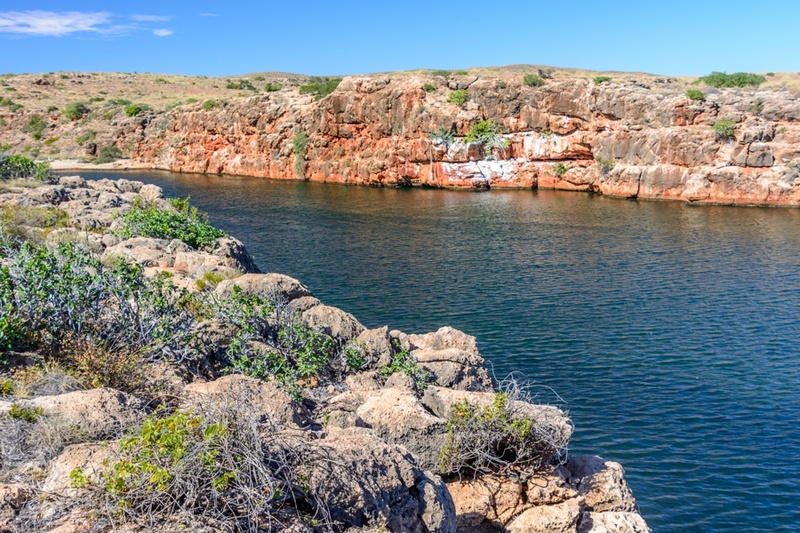 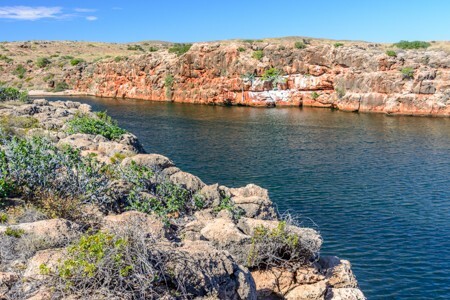 Much of the Exmouth Peninsula is under the management of the Cape Range National Park, which includes small canyons like one in these photos (Yardie Creek). 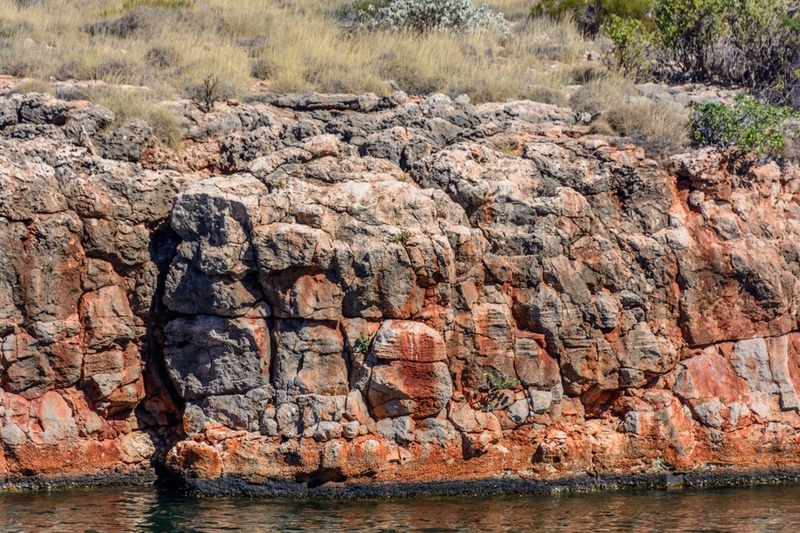 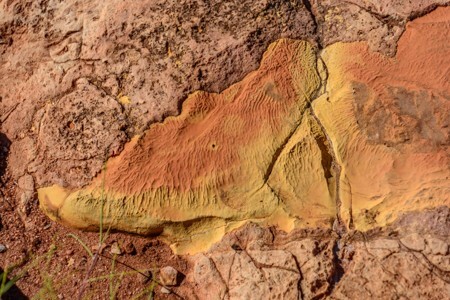 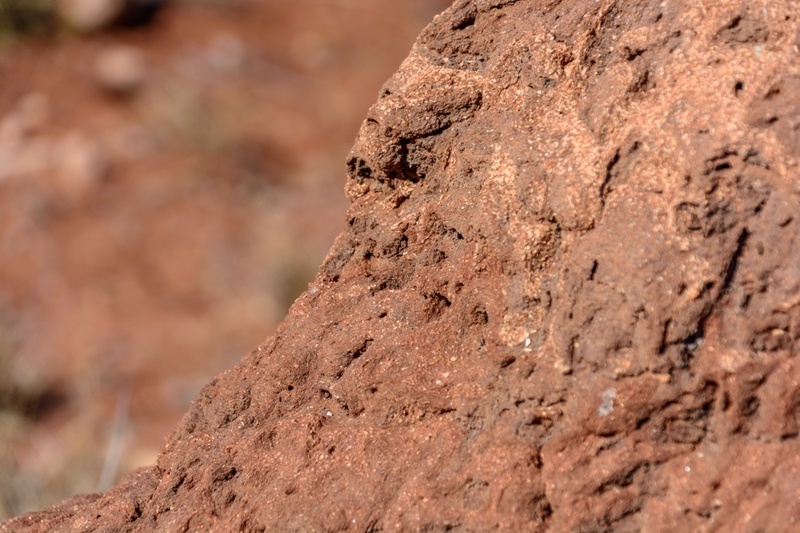 The canyon walls offer a glimpse into the geological past of Exmouth, when these rocks were a coral reef of the Indian Ocean (looking closely at the rocks, it is easy to find many fossils of corals and other forms of life). 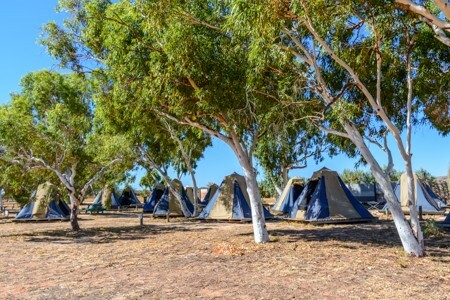 Where to stay in Exmouth? There aren't many accommodation facilities in Exmouth yet, one of the best option is probably to camp among the unspoilt nature. This site is copyright protected, please contact the author before using any part.